I wanted to write about this book because it is such an incredible read that I felt I needed to contribute to spreading the word about it - if you haven't heard about it or read it then it's time you did. However, in trying to write the review I can't seem to find the words to do it justice. So I'll be brief. Firstly, it's pertinent to note that this irreverent dark comedy was published 11 years after the author's suicide. Toole was also posthumously awarded the Pulitzer Prize for Fiction for the novel in 1981. It's set in New Orleans in the 1960s. The main character is Ignatius J. Reilly - a 30 year-old overweight, hilariously revolting and well-educated man who lives with his mother and finds it difficult to function in a world filled with people he finds far inferior to himself. Of course the author describes him best: "A green hunting cap squeezed the top of the fleshy balloon of a head. The green earflaps, full of large ears and uncut hair and the fine bristles that grew in the ears themselves, stuck out on either side like turn signals indicating two directions at once. Full, pursed lips protruded beneath the bushy black moustache and, at their corners, sank into little folds filled with disapproval and potato chip crumbs." After an incident early on in the book Ignatius is forced to get a job and an uproarious comedy of errors ensues. Some readers struggle with Ignatius' absurd self-indulgent ramblings, his arrogance bordering on delusions of grandeur, but I could not get enough. He's been described as the hero you love to hate, but I just thought he was great. Whilst reading this book I was always smiling, often chuckling and frequently laughing out loud. I can't wait to read it again. oil, pastel, watercolour and charcoal. 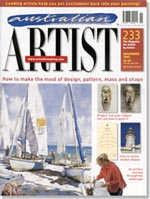 what makes their art successful. 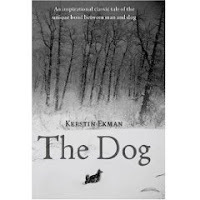 I read Ekman's Blackwater after reading The Dog - a beautifully written story of a puppy lost in the woods and struggling to survive. The seemingly simple tale offers a more complex exploration of trust and friendship and the relationship between man and dog. I enjoyed her writing style so much that I looked for more of her books and ordered Blackwater on Inter-library-loan through Camden Library - and I was glad I did. I haven't enjoyed a book this much in a long time. 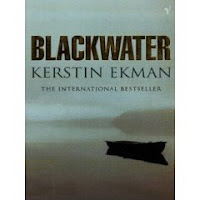 Blackwater is a literary thriller set in the far northern forests of Sweden. The story spans 20 years and centres around Annie Raft and her involvement in an unsolved double murder of two tourists one midsummer's eve in 1974. The description of the long-lit midsummer nights creates an eerie atmosphere and Ekman brilliantly sets the scene of Swedish life and draws the reader in with a complex, intricately woven plot and realistic interesting characters. I couldn't put it down and didn't want it to end. For me, it was one of those books that reminds us why we love reading. Playwright and poet Josefina Lopez is best known for her play Real Women Have Curves and Hungry Woman in Paris is her first novel. Written from a feminist perspective, Mexican born American Canela escapes her impending wedding, and her cousins death by travelling to Paris where she enrols in Le Coq Rouge to study the fine art of French cuisine. The backdrop aromas of sauces, broths and purees made me hungry and the backdrop of a city where I ate some of the most memorable meals I have eaten was a pleasure. Just a warning, Canela's... er..new friends, sensual awakenings and sexual activity at times made me blush.